The Bielefeld philharmonic orchestra performed three Dynamedion suites at a live event in front of 10,000 spectators. 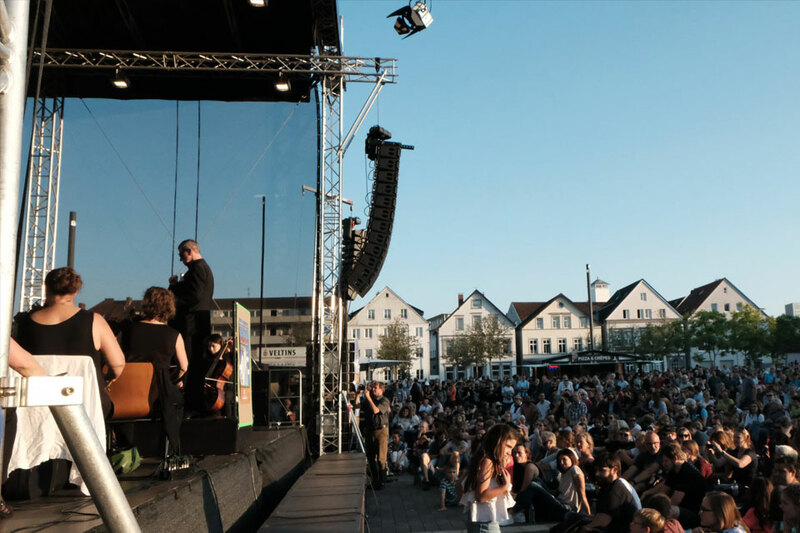 At this year’s open-air event “Let’s Play” of the Bielefelder Philharmonic Orchestra at Kesselbrink (Bielefeld, Germany), 10,000 spectators enjoyed a selection of well-known game music. The concert also featured music by our lead composer Tilman Sillescu. The genre of computer game music is now also making its way into the conventional concert business, and the soundtracks have become just as important as the graphical representation. Computer game music is anything but easy to play, but the Bielefelder Philharmonic Orchestra mastered the tasks with perfection. In total, more than 20 minutes of Tilman’s music from the internationally known games such as Anno 1404, Arcania: Gothic 4 and Settler 7 could be heard at the concert. Here are the first tracks of the suites that were performed by the philharmonic orchestra at “Let’s Play”. The first listeners flocked to Kesselbrink an hour before the performance began to settle down on blankets, cushions or camping chairs to get hold of the best spots. The atmosphere couldn’t have been better – people relaxing in the setting sun and listening to the music. Even if the Bielefelder Philharmonic Orchestra still pursues its art of music-making in an analog way, their innovative programme proves that they are still operating at the pulse of time. It was an honor for us to be part of this event. Enjoy watching some impressions of the event! Are you interested in live orchestra recordings or music composition? Check out our services and tell us more about your project!